Who do you want at pick 8? BR's mock draft has 6ers drafting Jackson, Timbs grabbing Ntilikina and Monk to Knicks. I can see Thibs drafting Ntilikina. 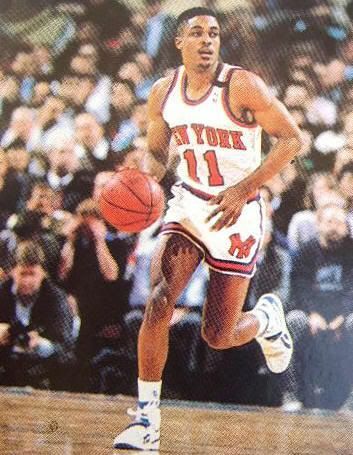 ^^ exactly, love sweet-Lou,; at the lottery Monk was asked what surprises he has, and he beamed and said "I can really play the pick-and -roll", and you know what...I believed him, Fox made him play the two, but Monk is going to be a like Isiah Thomas only bigger. It would be pretty hard for the Knicks to pass on Monk’s starry upside in this scenario. He’s one of the best pure shooters in the draft and presents a ton of possibilities despite measurables that leave a bit to be desired. If Melo’s headed out of town, New York will need someone else to score the ball and would be justified in turning to Monk in hopes that he evolves into a lethal one-two punch alongside Kristaps Porzingis. Monk won’t be ready from day one, but would make an electrifying fit in the Garden if all breaks correctly. SI's mock draft also has Monk to Knicks. Me too, me too. Even if New York walks away with neither player, I don't think we've seen the absolute best of Fox and Monk. IDK, but if it's true that Kentucky's basketball system holds back its blue chippers (I didn't expect Towns nor Booker to be so good in the NBA), I gotta believe Fox and Monk's games will translate well in the league. To think that neither of these outstanding collegiate players may go in the Top 3 really shows the amount of talent in this draft. I agree 7th or 8th should not be life-changing in this draft. if we pick frank, we get a team-first player who defends, shoots and passes well, but needs to improve his burst and finish to the cup, get stronger. he's likely to be a better version of pat beverly. if we choose dsj, we get a player with elite athleticism and strength​, shooting, can get to the basket in transition, but needs to improve his decision making in the halfcourt and consistent defensive focus. he's likely to be russell westbrook lite, will need more time to develop. if monk is our pick, then we are getting an athletic volume shooter that moves and cuts well off the ball. he needs to get stronger and tighen his dribble to be more than a 6th man. his floor is lou williams. Of the guys mentioned in the poll (including Somebody Else), who is the headiest/most cerebral? Athletics aside, who's best to (eventually) run this team as Phil envisions it? Question: What is Malik Monk's ability as PG? His superb shooting is obviously his selling point but Is he someone that can be groomed into taking the point guard reigns for this franchise for years to come? Frank seems to be more of a PG prospect, but obviously there's a cloud of mystery around him. While Monk is more of the proven player, and I agree with many of you saying that he seems to be the type who can eventually turn into a star. "Come at the king, you best not miss." we as fans are really over glorifying PG and SG w/o understanding that it doesnt matter in the way its discussed. Your position is who you defend...offense doesnt dictate what position you are. So with that said..Frank can be a SG/PG....Monk can only be a PG. He shouldnt be guarding at SG's for a extended period of time. If you draft Frank you have to compensate his lack of scoring and get another primary playmaker. If you draft Monk you have to comepensate his lack of playmaking/defense. Curry, Westbrook, Harden, Teague, Holiday... all SGs coming out of high school, all played mostly SG in college, all run the offenses for their respective teams now. I'm cosigning Don on this one. What's really interesting is that Frank and Monk would probably work really well together. Only Knicks fans have Frank ranked as high as the 8 spot. He'd probably still be there at 10. I saw some debates on Twitter circling around about this... so I gotta ask. Would you guys do Willy and 8 to the Kings for 5 and 10? Risky if it doesnt work out because Willy is a double double machine... but he also doesn't defend and it's a wing's game now. H20Knick wrote: Curry, Westbrook, Harden, Teague, Holiday... all SGs coming out of high school, all played mostly SG in college, all run the offenses for their respective teams now. Not sure how you get that trade done. Willy doesn't get you the 10th pick in this year's draft and 8 is worse than 5th. So how do you convince the Kings? If Monk is available at 8 (which I will be surprised if he is), I think we need to take him. Got the shooting down, and I think he should easily be able to morph into a lead guard. I'd be shocked if Monk is taken before 8th. Philly is the only team that may take him in the top 8. This is the Sacramento Kings, Spree. You dont need logic here. I'd keep Will, he fits our offense and gives all positive energy at this point. Plus hes on a great deal AND.....him and KP are brothers. I wouldnt break that up just yet. at some point though don, KP needs to grow up and play C.
Nice cut to the chase.. I don't see KP chasing stretch fours forever. Then again,with Melo gone,who is our 4 assuming kP plays the 5? Ild give Willie another year. Like to see him play without baby fat. H20Knick wrote: at some point though don, KP needs to grow up and play C.